Mark Stiving, PhD, MBA, is a recognized pricing expert with has more than 20 years' experience in helping businesses boost revenue and profit. He is also an instructor at Pragmatic Marketing. 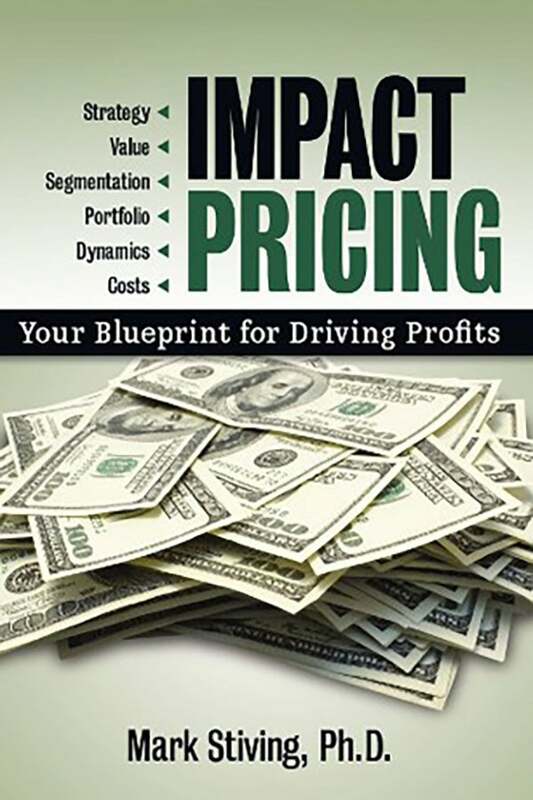 Mark is the author of Impact Pricing: Your Blueprint for Driving Profits, from Entrepreneur Press. Every entrepreneur -- whatever his or her business -- needs to understand the essentials of how customers decide what is worth what. Consider these ways to increase earnings margins by experimenting with your line-up. Before you establish a pricing strategy, understand the concepts behind ideas like neutral, penetration, skimming and value-based pricing. Consumers ask two questions before purchasing a product or service. Their answers should factor into your pricing strategy. Here's how. Before you figure out your pricing, figure out your business. Companies don't win a price war. They survive it. Strategize ahead of time how you will respond to competitor price changes. Before you put a price tag on a product or service, find out how much customers value it. Price--it's most powerful marketing tool you have-- and the least understood. Zeroing in on the areas where your efforts will generate the greatest impact, Stiving breaks down critical pricing concepts and provides the blueprint to integrate proven pricing strategies into your growth plans. Be empowered to strengthen your pricing structure to withstand any conditions, dramatically elevating your company performance, position, and profits for long-term success.